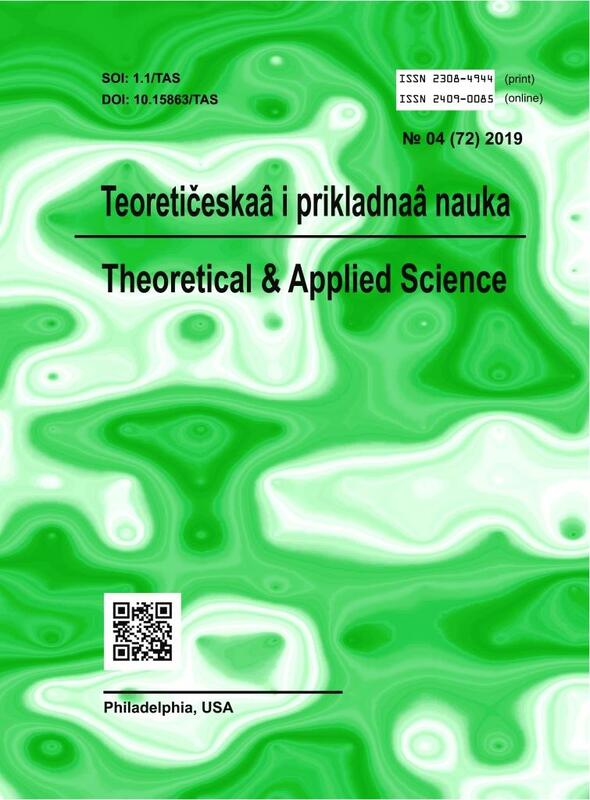 International scientific journal В«Theoretical & Applied ScienceВ», registered in France, and indexed more than 45 international and citation databases (THOMSON REUTERS, SOI, IP, DOI, Kudos, ISI, RSCI, RB, TEI, GIF, OAJI, GS, and others). The journal is published monthly, 30 number. All metadata of articles registered in the following databases: SOI, DOI, ISI, Clarivate Analytics / ThomsonReuters ResearcherID, RISC, Clarivate Analytics / ThomsonReuters EndNote, Google Scholar, Research Bible, Open Academic Journals Index, Turk Egitim Indeksi, Directory of abstract indexing for Journals, Kudos Innovations, etc. The journal goes to press immediately after 30 and distributed in 3 days after the publication. (by mail journal is on average 5 to 17 days ). The printed format journal and certificate - A4. Everyone have chance to submit your article about the results of their research work. To assert itself in the International scientific level. Get the journal in which you will publish his article. To get acquainted with reports and theses of other scientists and colleagues. To register their research in international scientific bases. 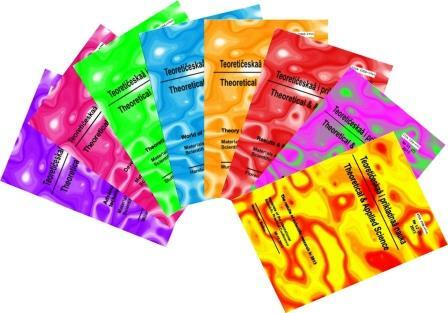 В© В«Theoretical &Applied ScienceВ» В В В В В В В В В В В В В В В В В В В В В 2013 Рі.